The state of Karnataka is blessed with a high density of forest cover ( approx. 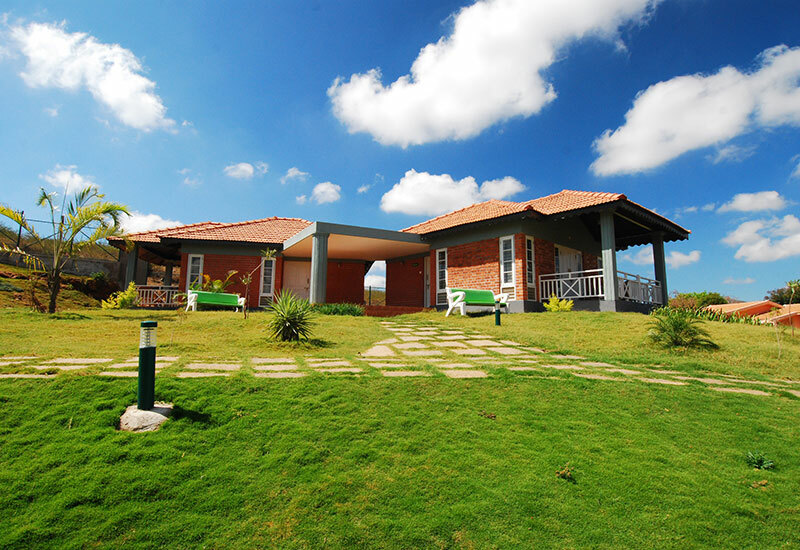 22% of land area), including the Western Ghats - one of the last remaining 'Bio-diversity Hotspots' in the world The ideal way to experience the richness of Karnataka's natural world is at the Bandipur Safari Lodge, located at the edge of the Bandipur National Park (880.02 sq km) also know as Bandipur Tiger Reserve, this park was one of the first seven to be brought under Project Tiger in 1973. Nestled at the foothills of the Nilgiris of the Blue Mountains, Bandipur was once the private hunting ground of the Nilgiri Biosphere Reserve and one of the best-known wildlife sanctuaries in India. The highest density of the world's Asiatic Elephant population in fact about 5000 wild Elephant's roam these jungles.